So, my hub and I have been hosting a good friend in our spare room for the last few weeks until she heads out on her Grand Summertime Adventure. No biggie. She left yesterday evening before I got home from work. Again, no probs. My mind races. Which is pretty impressive for 7AM. 1. I did not move husband’s toothbrush. 2. Husband did not move his toothbrush. 3. Therefore, our friend moved the toothbrush. Question: Why would someone take a toothbrush that wasn’t theirs? Answer: Because they thought it was theirs. Therefore, THEY HAVE BOTH BEEN USING THE SAME TOOTHBRUSH AS IF IT WAS THEIR OWN. Oh God. Say it isn’t so. Update: The toothbrush, it turns out, is not with our friend after all; it is currently with the “accouterments” for me to take care of her baby hedgehog while she is away. 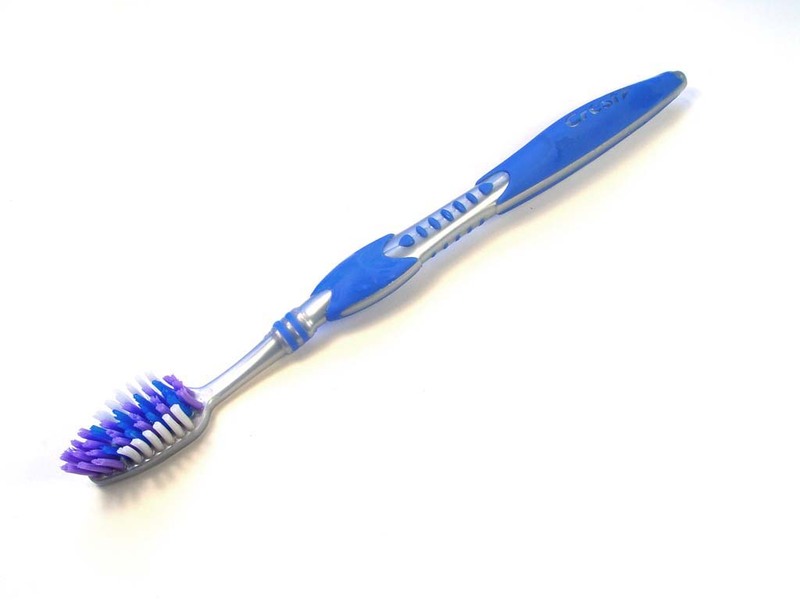 So this manky, well-traveled toothbrush has also been used to brush a hedgie’s dirty quills. Yep. That’s so much better. Previous Post Foccaccia, where have you been all my life?